The Class of 2018 celebrating becoming official graduates on June 22, 2018. Through 2018, Lindenhurst has gone through a lot. We have grown together and have become one. We have closed a chapter and are now creating a new one. Through the 12 months, 365 days, it has been a year to remember. Many things have taken place in out amazing town from new laws to new protestors. 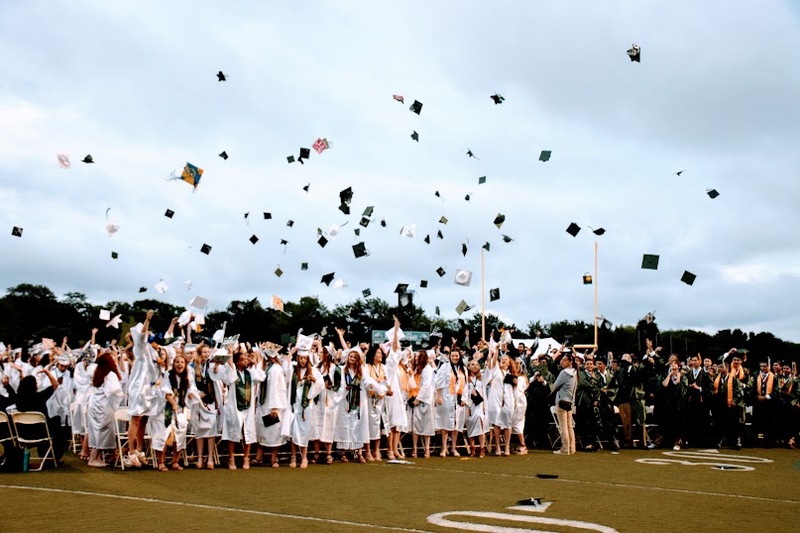 Lindenhurst High School had a year, and let’s hope next year is just as great. 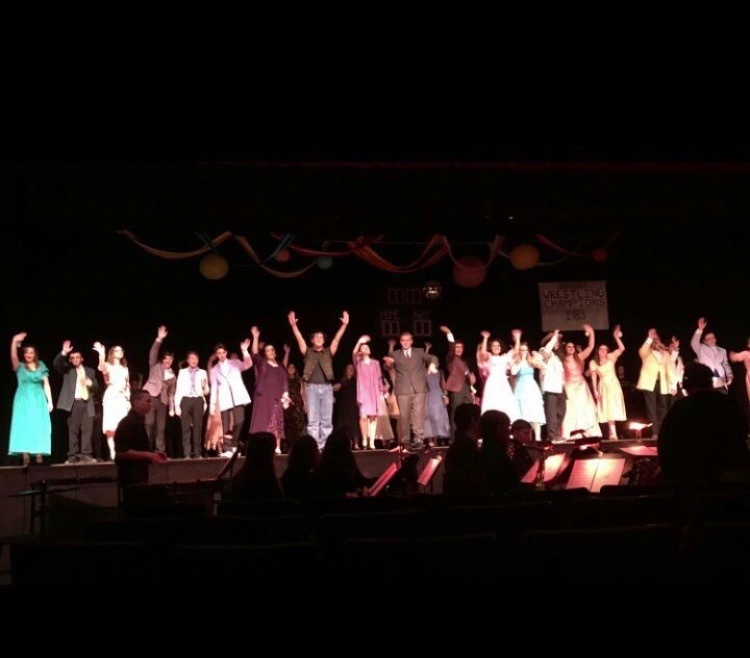 Performers bowing on their last performance of Footloose on January 13, 2018. Right at the start of the new year, Lindenhurst was affected by a new law which implemented plastic bags to cost five cents when they were used in stores. This law was to decrease the use of plastic bags since they take very long to decompose and is a positive step for our environment. Also in January, Footloose debuted on January 12 and 13. The music and acting in the show was amazing making it very rememberable. February was a very important year to reflect on in 2018. On February 14, 2018, seventeen students and staff were killed in the Marjory Stoneman Douglas High School. With this terrible event, it has lead to have such a positive impact with the March for our Lives event in Washington DC. 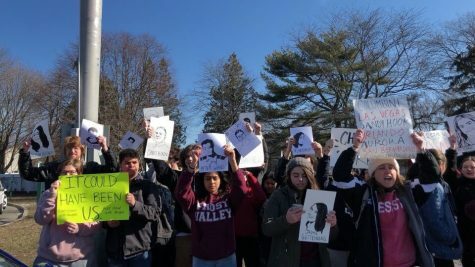 Students protesting gun violence by taking part in the Walkout on March 14th, 2018. Through all the events happening on the news, Debate Club held a debate to discuss the pros and cons of teachers being armed. Through this debate, students were able to be open minded and hear other opinions and views on the topic. March 14, 2018 was day to remember. In LHS, around 30 students took part in a walk out to stand up for gun violence, exactly one month after the school shooting in Parkland, Florida. These students were able to stand up for what they believed in, with passion to be heard. Members at the Senior Prom Event on April 14, 2018. As the month came to an end orchestra members performed in Disney World! One of the four songs they performed was “How Far I’ll Go” from the Disney movie Moana. At the same time, the Lindenhurst Dance Ensemble performed the 14th Annual “Evening of Dance.” Both of these events were successful due to the performers who did such a great job! As many students were preparing for AP exams and finals, one senior, Gabrielle Anzalone was doing more than just studying. She wanted to do more, by running for a spot on the Board of Education. She came to this idea with first starting the organization of the walkout to take place on March 14th, 2018. When CST spoke with her last year, she stated “It is up to you to take the initiative to vote for a positive change, as your actions of today impact tomorrow.” Even though she lost the election by around a hundred points, she still made a huge impact on our community. As the school year came to an end, many students were studying for finals and getting prepared for summer. The Class of 2018 got to enjoy their high school graduation, closing off the years of going to LHS, but going on to do new and better things in the world. In the last four years they met great people and learned amazing things. Over the summer, students were able to have fun with their friends and family, getting a break from LHS since school can get pretty stressful. 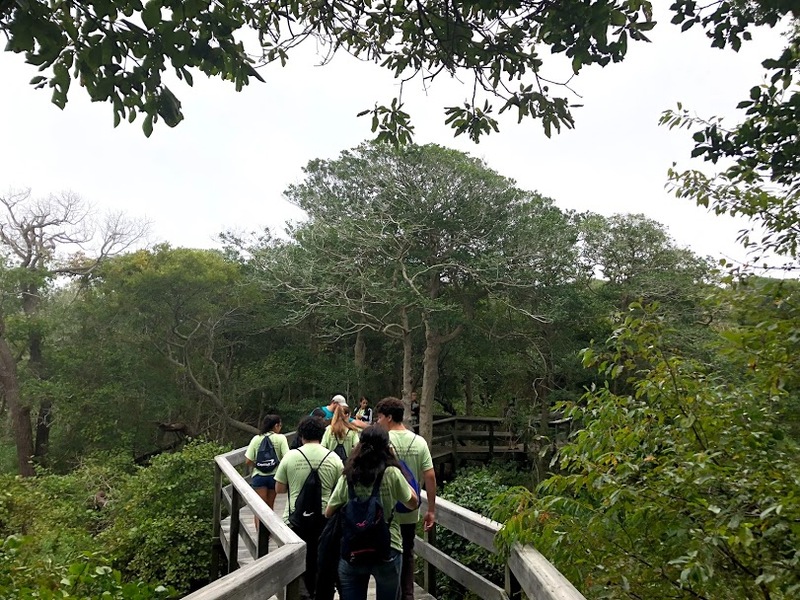 AP Biology students pictured on the first round of trips to Fire Island, familiarizing themselves with the flora and fauna. On September 5, 2018, all students came back to LHS. It was a great day as we welcomed incoming Freshmen into our community. Peer Leadership provided any help needed by the Freshmen, to make them feel more comfortable in this very new school. At the start of the school year, many clubs started back up and new ones were added. Paw Patrol and Yoga Club are two brand new clubs; both are going very well and make a good addition to LHS. 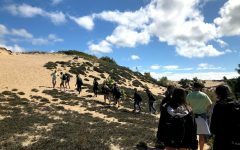 AP Biology students went on their first round of LEFT trips to prepare for educating fourth graders about the environment and guide Fire Island. All of the students really enjoyed the trip, making it an overall fun day out in the wilderness! 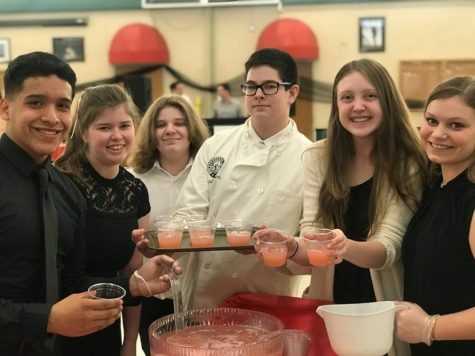 On October 17, The Pie the Teacher Event took place to help raise money for the McCandless family, who had their youngest child be diagnosed with a brain tumor. it is amazing to see how well our community can come together during the worst events. On October 20, the Homecoming Parade was finally ready. As all of the floats done by each grade and school went down the streets, the audience was able to see how much work students put into them. 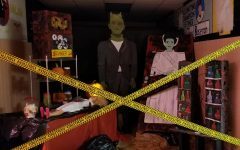 Also during this Halloween season, Trick or Treat on Charles Street took place on October 26. 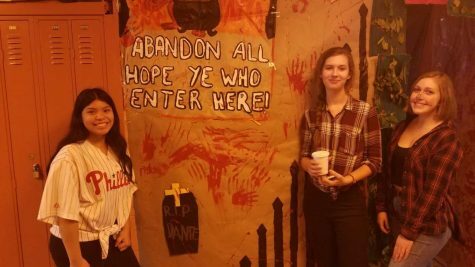 This event gave clubs the chance to decorate classrooms and hallways for the children of Lindy to come and see. The children loved the decorations the students put together. During the month, classes and clubs collected donations for a food drive to help people in need during the Thanksgiving holiday. This made for an overall great Thanksgiving holiday for everyone to see their families and get a quick break from school and work. During this final time of the year, LHS had many events take place through clubs to give back and give our community a great holiday. National Art Honor Society helped out through raising funds for Wreaths Across America. On December 14, members were able to placed 200 wreaths along the graves of fallen soldiers. Through each week of 2018, Lindy has taken part in so many events. LHS students and staff should be proud of how much our community truly has accomplished this year. Time has a way of getting lost on us. I think this is a creative way to memorialize great experiences with friends and staff in our Lindenhurst community. Job well done!